Tourists are increasingly refusing to give in to fear of being caught up in a jihadist attack such as the November 2015 bloodbath in the French capital and flocking in droves once more. In a rebound that began at the end of 2016, Paris saw a record 2.6 million foreign arrivals in the first four months of this year — a 19 percent increase over the same period in 2016. Top Moulin Rouge official Jean-Victor Clerico shakes his head as he looks back at the “black year” of 2016, when the cavernous hall was only three-quarters full on an average night. Paris may have suffered its losses, lives have been lost, and the citizens scared for a while but all these do not stop them from rebuilding the country. Despite the constant threat of terrorism and more widespread attacks happening in various parts of the globe, Paris tourism is picking up and the city streets are filling up with people once more. Threats of terrorism are but a shadow of the distant past although the Parisians seem to be extra careful now after embracing that the threats of terrorism continue to linger indefinitely. Tourism to Paris seems to be on the mend after a spate of terrorist attacks. Travel experts estimate that the total number of visitors to the “City of Lights” in 2017 will be 89 million. That’s quite an astonishing rebound considering only 14.5 million foreigners decided to visit Paris in 2016. Of course, the main reason people stopped visiting the French capital had to do with the horrific string of jihadist attacks. At the start of 2015, radical Islamists killed twelve cartoonists working at Charlie Hebdo. In November of the same year, ISIS suicide bombers targeted cafés, the Bataclan theatre, and the Stade de France. 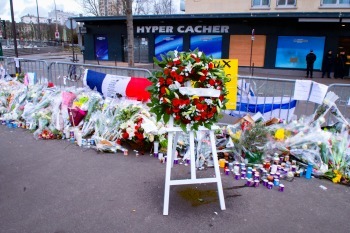 130 people were killed and another 368 were injured in these attacks, the worst on French soil since World War II. Staff working at popular tourist sites like the Moulin Rouge called 2016 the “black year” for tourism. Not only was Paris still reeling from the shock of these attacks, it also suffered flooding rain and violent political protests. Then, in July of 2016, there was yet another bloody terrorist attack in the southern city of Nice. This attack, in which the Tunisian driver rammed a truck into pedestrians, killed 86 people and wounded 458 others. The influx of tourists once more to hotspot areas like Paris, France (that is like a magnet to terrorism as of late) just goes to show that the public has adjusted to the constant threats of terrorism today. Considering that violence fills the news daily, terrorism seems normal now and it won’t stop people from exploring other parts of the world out of fear of these random attacks. The public acknowledges all the changes and dangers in the world, which is why they are extra vigilant than ever when indulging in their wanderlust. Your lifetime isn’t enough to explore all the wonders of this world, so get out of your comfort zone and see famous attractions in the world like the Eiffel Tower of Paris, France and see them for yourself even just once in your life.